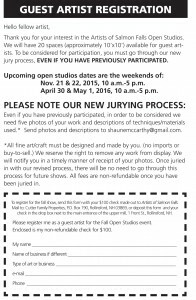 Guest Artists, We now have a jury process in place. Please submit your application with high-res photos of your work to shaunemccarthy@gmail.com. See the application for details.